June 7, 2016 – “B2W Estimate has paid for itself numerous times over,” according to Jonathan O’Dell, estimator at Triple B Services. The software allows his team to focus more of their time on estimating, which in turn has provided more projects to generate revenue. 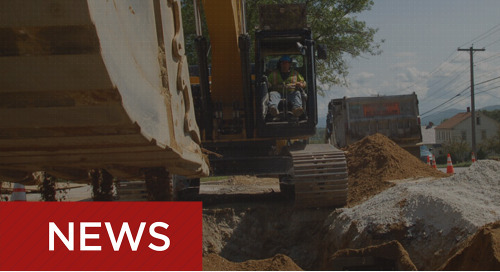 Triple B is a leading earthwork, highway and utility contractor in southeast Texas. More than 380 employees and 33 crews generate approximately $80 million in annual revenue, primarily through city, county and Texas Department of Transportation projects. 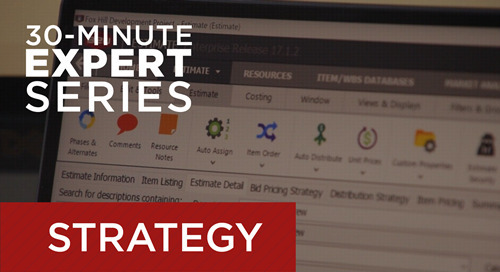 The Triple B team transitioned away from Excel when estimating with spreadsheets was slowing the growing company down. DOT integration and the ability to export easily to the Viewpoint Vista accounting program and Oracle Primavera project management software were also big pluses. The company now has seven B2W Estimate users building 10 – 13 estimates per week. In addition, the B2W software has improved reporting capabilities, allowing Triple B to provide detailed cost breakdowns to the field and project managers. 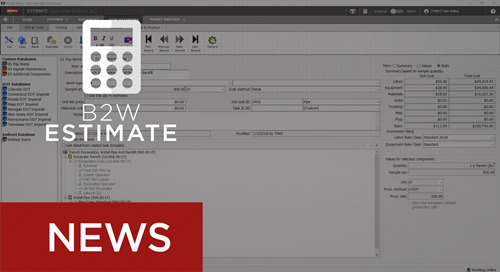 “The DOT integration features built in to B2W Estimate provide a critical time saving advantage,” according to O’Dell. With specific state DOT cost items already in the software, the estimating team at Triple B can prepopulate them and then pull the information into estimates, as required. They also download the bid forms, transfer the data from Estimate, and upload the formatted bid with literally a few clicks of the mouse. 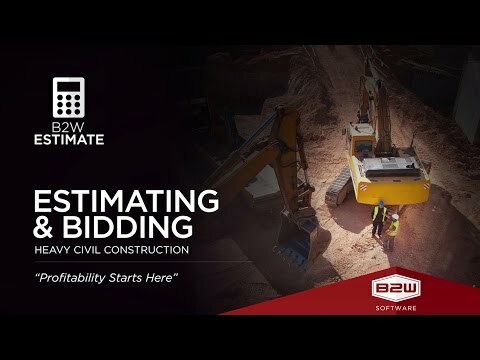 The foundational advantage with B2W Estimate at Triple B is the database of cost items. 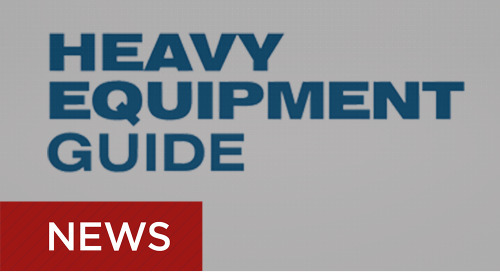 With up-to-date rates for crews, tasks, materials and equipment at their fingertips, estimators minimize what they call the “cost side” of estimating and can focus instead on plugging in variables and strategizing. They don’t have to start from scratch and they know the data is accurate. That makes them a lot faster and gives them more confidence in the bid. As an example, Triple B cites a complex $18 million Texas DOT project that involved widening eight miles of a four-lane divided highway in Galveston County, raising the center median and constructing a new center turn lane. Despite the size, scope and complexity, Triple B completed its estimating in two weeks. The team says it could not have done it within this short time frame without the efficiencies and accuracy that B2W Estimate provided. 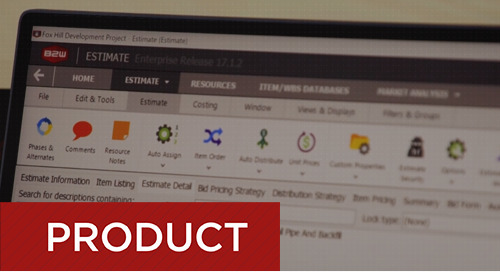 Estimators at Triple B Services in Texas build more than 10 bids a week using B2W Estimate and say the software has paid for itself numerous times over – particularly for DOT work – through its built-in database and integration advantages.